Yah, I was hungry this morning. It was way too much. Gosh, this picture is making me hungry. 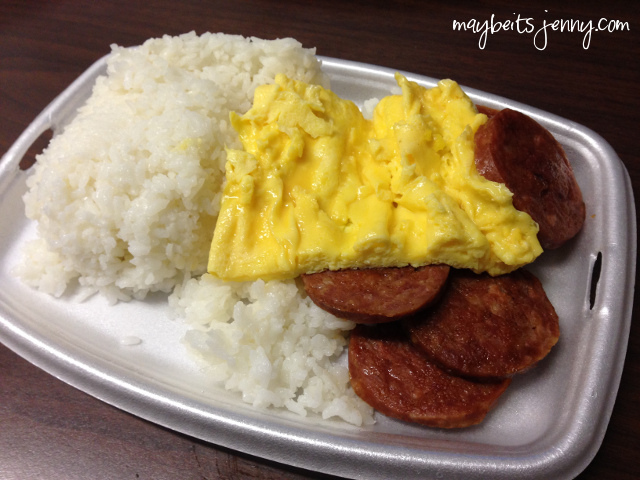 This entry was posted in Food, Snapshot and tagged Breakfast, Portuguese Sausage. ← Izakaya Torae Torae Part 2! Another reason to come here!! Ohhh…haaha the round kine. I think my cousin told me they use pacific sausage which I like too! But you’re right, I think I like Jack’s sausage (lol) but not their eggs or soy sauce. So pick yeah?